ThatsMyFace.com satisfies the curiosity of individuals by analyzing their faces and showing them what they would look like if they had been born as a different person. You know that if not vocally, you have questioned the following with your internal commentary. What would I look like as a different race? How would I look if I were a different gender? What will I look like in 20 years when I'm older? Now this unique business idea, lets consumers find out and purchase memorabilia so they never forget. To begin the process, Thats My Face requires that you submit 2 photos of your face, taken at 2 different angles; a head-on shot, and a profile shot. They must be clear, with good lighting conditions, no obstructions and outline the full shape of the face to get the best results. As displayed in my photos, the software is sensitive to any factors that don't meet their image standards; the presence of my bangs creating a deformity on my reconstructions. Once the photos have been uploaded to the site, you assist the facial analysis program by lining up markers on the photo against various facial features. 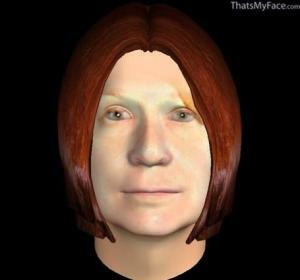 This is the longest part of the process, but once complete they can finalize the analysis of your face; beginning with a 3D digital reconstruction of you as you are today, by their facial analysis software. Once your facial analysis is ready ,Thats My Face sends an email notification so you can login to the site and view your results, which along with visual images that display your face at various ages, races and genders; also analyses how well your face fits into the various categorizations. 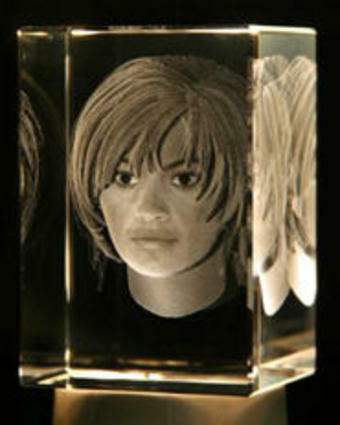 Since this thorough face analysis and re-creation is free, Thats My Face's profit comes through their sale of face statues and other souvenirs they have available. To make visiting the site more interesting, Thats My Face keeps their web copy light-hearted and humorous. When sending a message via their contact form, to inform them of my intent to publish this article, the confirmation message I received said "Thank you. Your message will be forwarded to our customer relations department, where it will be laughed at and promptly deleted." So users of the site should be prepared to laugh at their approach, rather than taking personal offense. 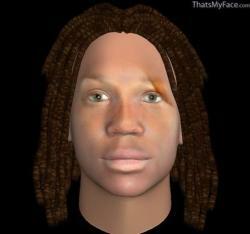 The facial reconstructions contained in this article are mine. While overall I was quite impressed by My Face at 60 today's re-creation and intrigued to see myself in different racial backgrounds; I can only hope that the aging process will be as kind to me as my facial reconstruction. The changes in my age 60 image were visibly identifiable, but less progressive than expected. 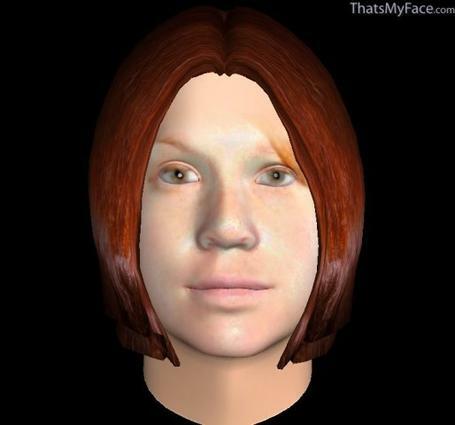 Facial reconstruction has been popularized by techniques demonstrated on forensic television shows like CSI, however this is a new business that seems to be the first of its kind on the web; bringing facial reconstruction and analysis to the regular person. As the site evolves, if the technology is there, it might be interesting to see actual photo modifications so I can learn, in the flesh, what I'll really look like at 60, without the aid of a 3D recreation. Thats My Face has also recently expanded their empire by partnering with ChangeMyFace.com, a service that demonstrates the facial changes that will take place following a cosmetic or non-cosmetic surgical procedure. That way, for a fee, people know exactly what they'll be getting themselves into! As a professional writer and editor, I just have to put aside my personal discontent (and that of my spellchecker) about the missing apostrophe in the company's name. But, with such an interesting business plan, I can get over it. Overall, I think this is a trendsetting business for an up-and-coming industry. It's a good business idea that has the potential to evolve into a great one. Thats My Face is a one of a kind business inventing a new market. So entrepreneurs, I hope you're taking notes; how will you capture your niche? I am 21 right now and look younger now then when I was 17. Not too long ago I went to get a haircut and was told I looked 14. My face looks almost the same as it did when I was 5.